Baseball – HEY, IT'S PAT RYAN'S BLOG! Dammit, Biggio is a sweetheart so elect him to the Hall already! 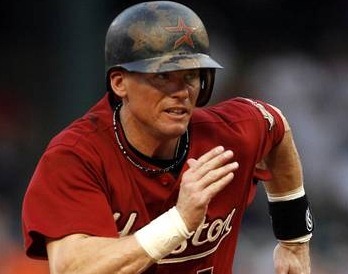 Craig Biggio did not win election to the Hall of Fame today. Greg Maddux, Tom Glavine and Frank Thomas did, and they deserve it; congratulations to them. For the second year in a row, his first two years of eligibility, the Houston Astros icon was the biggest vote-getter without getting the 75% of votes required from members of the Baseball Writers Association of America. Last year, when the writers elected no one, Biggio was the leading candidate but came up 39 votes short; this time, it was two. TWO VOTES, out of 571 569 (nope, now they say 571 after all)! Don’t those people understand that Biggio is a great guy? But I’ve just discovered that even the local daily doesn’t know it all. A tweet from Lance Zierlein led me to this eye-opening YouTube video that should convince any remaining skeptics who aren’t sold on Craig Biggio being a member of baseball’s Hall of Fame. Just take a look for yourself. 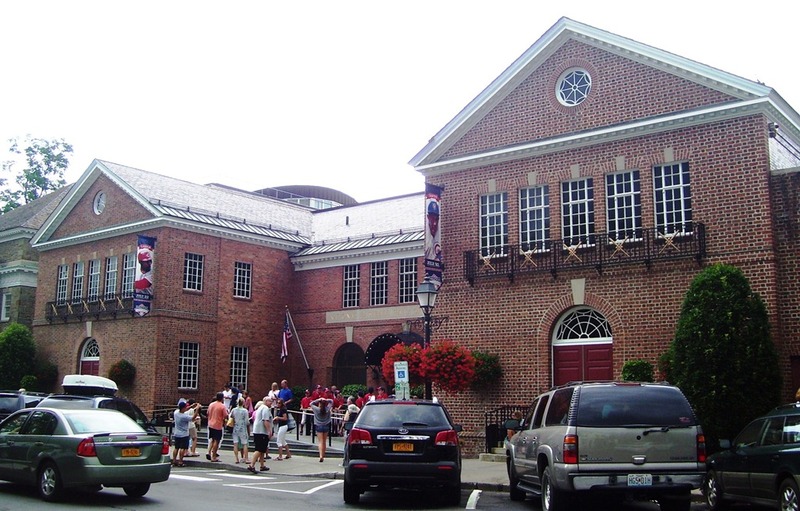 As a kid I thought all the players in the Baseball Hall of Fame, by definition, were great players and great guys. It’s not so, but I was just a kid; now that I know better I still want it to be true; I want things to be simple. For the most part, anyone who’s followed baseball for years just knows who’s a Hall of Famer and who’s not, and can make an elevator argument for their guys. 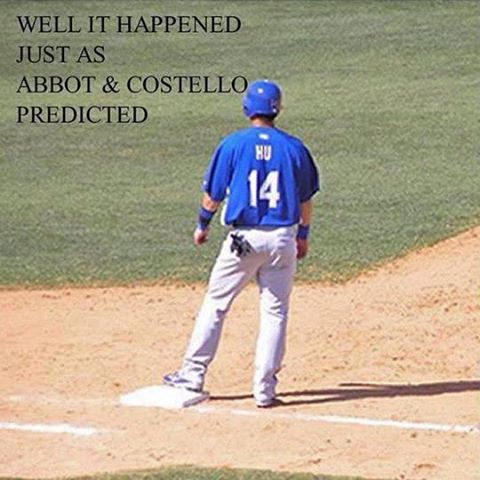 And that’s fun, when people who love baseball talk about the shared past from their different perspectives. For what it’s worth, here are the only guidelines handed to the voters as they consider the choices. Most of us who grew up in a big league city grew up rooting for the hometown team, and I’ve been in Houston since I was nine. Today is the first time in all those years that players who spent most (or in this case, all) of their Major League careers with the Houston Astros have a real chance (or in this case, two chances) of getting in. So, yeah, it’s exciting to be waiting for the news: will Craig Biggio and Jeff Bagwell make it? My guess is, Bagwell won’t make it an d Biggio will. Bagwell’s got the numbers, but I think the doubts about his alleged-but-unproven use of steroids are what’s keeping his vote short. Biggio has no steroid shadow over his career; he’s got more than 3000 hits; he was multiple times an All-Star at two different positions, and a multiple times Gold Glove and Silver Slugger winner; he’s in. OK then, the headline is: NOBODY was elected to the HOF this year! First time that’s happened since 1996, only the eighth time since they started voting for the HOF in 1936. The subhead: Barry Bonds and Roger Clemens and Sammy Sosa and the other strongly-suspected steroid users didn’t even come close—seven-time Cy Young Award winner Clemens had 37.6% of the vote, all-time home run king Bonds 36.2%. My reaction: I’m fine with this. First, there is no shame—none—for Biggio not to be elected in his first year of eligibility; something like 80% of the players in the Hall weren’t elected in their first year of eligibility. To be the top vote-getter in his first year, and so close to the threshold, means the voters think he’s worthy, and his ultimate election is all but assured. 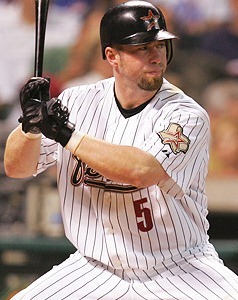 And Bagwell’s vote total improved again: he had 41.7% in his first year, 56% last year and 59.6% this year. He’s going to make it, too. It would have been great to see either of them, or the two of them together, get this honor, and I’m now even more confident that one day they will. Other HOFers have ties to Houston—Joe Morgan and Nolan Ryan the most prominent—but none of them is wearing an Astros cap on his plaque; Bagwell and Biggio will be the first players from my team to get to the HOF, and I was in the stands to watch them play their entire major league careers, so it will mean something to me when they are recognized as being among the greatest players ever. The second reason I’m fine with this is, the steroids cheaters were shut out. Let me start by acknowledging my ambivalence on the subject of steroids. I can accept the scientific evidence that the use of steroids poses a danger to the user, and I’m conformist enough that I have no problem punishing players who broke the rules that prohibited the use of steroids, once those rules were finally put in place. It’s the concept that some performance-enhancing drugs are banned while others are allowed that gives me trouble. Why are antibiotics, protein supplements, vitamins and caffeine OK, but anabolic steroids and amphetamines prohibited? How do we draw the line that says an athlete’s efforts to become the best they can be are to be applauded but only up to this point, and no further? Second, I think there’s a reasonable argument to be made that baseball writers—the journalists who cover baseball as a news story—shouldn’t be the ones with sole authority over which players get into the Hall of Fame: the people whose job it is to cover the news should not be involved in making the news. (I don’t know who, in the alternative, would select Hall of Famers, but that’s a different question.) In this case, we’re talking about the baseball writers who covered the game in the 1990s and 2000s, who saw the players get freakishly bigger and the old records fall, and decided not to write about the fact that the players breaking the records were taking illegal performance-enhancing drugs. This Hall of Fame ballot wasn’t the first one to feature prominent players whose careers came during the era of steroid use, but in Bonds and Clemens it had two of the most accomplished players of all time who also happened to be suspected of cheating. Their worthiness to be enshrined in the HOF was judged by the writers who were once complicit with the players and their union and Major League Baseball and its teams in facilitating the use of steroids by players and the subsequent mutilation of the record books that it caused, and who now unapologetically pivot into the role of moral arbiter and protector of the faith to declare that no cheaters shall prosper in Cooperstown. Nice work if you can get it. Oh, and one more thing: pitchers and catchers report in just one month!